Weekly Tea Ceremonies at the meditation studio En.hale in the heart of Central. Grateful to be hosted here and share at this beautiful space, please see the schedule below for November offerings. Tea offers us the space to remember our connection to nature. This offering will introduce bowl tea and the essence of simplicity and meditation in creating sacred space. We will share tea together in silence, to celebrate and connect to this plant teacher as a bridge to the meditative mind. In ceremony, we are able to rest in the space of reflection and our true Self as we cultivate inner harmony and awakened presence. Barre2Barre is hosting Spiral Spaces for a collaboration of a Meditative Tea Ceremony. The brand new Meditation space called En.hale in the heart of Central is now ready! I am honoured to be hosted to share tea at this beautiful space dedicated to mindfulness practises regularly. The brand new Meditation space called En.hale in the heart of Central is now ready! Please join the facilitators of an afternoon of offerings and to visit this new abode! Click on October 6 and select "Book", fill out your info and you're done! I am honoured to be serving Tea with the Hong Kong community at En.hale more regularly. 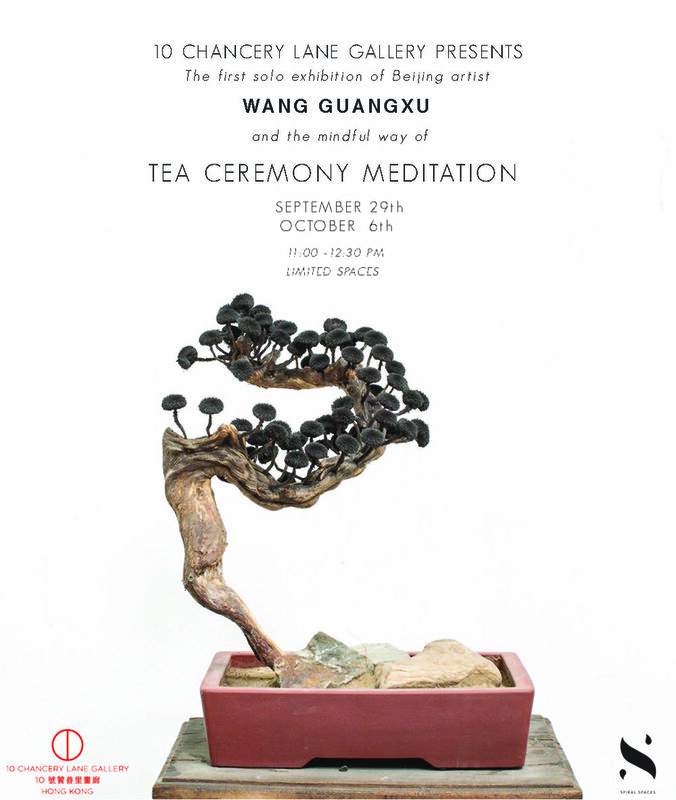 10 Chancery Lane Gallery is hosting Spiral Spaces for another collaboration of Meditative Tea Ceremonies amongst the iron sculpture works of Beijing artist Wang Guangxu (born in Fujian, China) at his first solo exhibition in Hong Kong. This is a donation-based offering with limited spaces (8 pax per sit). All Tea used is 'Living' Organic. 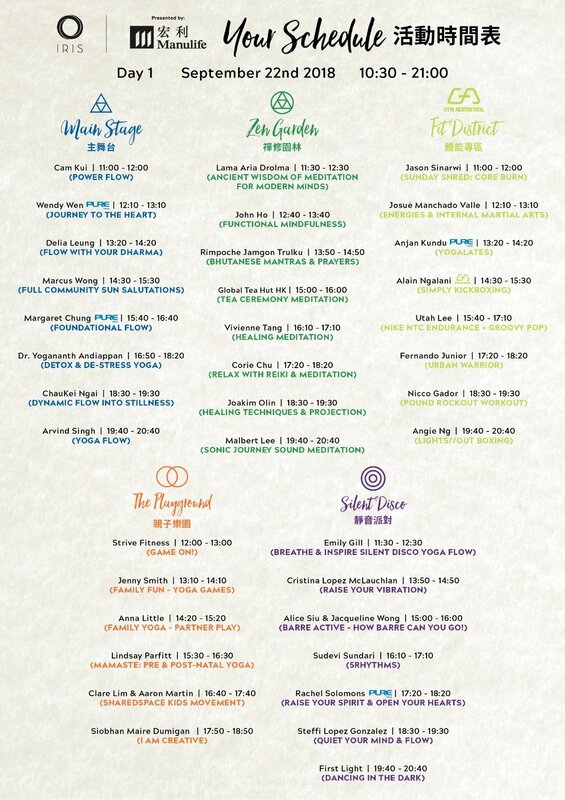 Proceeds support our future Tea & Zen Center "Light Meets Life"
Honoured to be taking part once again in this beautiful community gathering event as our growing collective community of Global Tea Hut HK. Please join us for a Tea Meditation Ceremony on Saturday 22nd March at 3:00 pm - 4:00pm in the Zen Garden. Tea offers us the space to remember our connection to nature. This offering will introduce bowl tea and the essence of simplicity and meditation in creating sacred space. We will share tea together in silence, to celebrate and connect to this plant teacher as a bridge to the meditative mind. In ceremony, we are able to rest in the space of reflection and our true Self as we cultivate inner harmony and awakened presence. We look forward to sharing bowls of Tea with you! There will be limited spaces so do come early! Bring a mat, a friend and a smile! We welcome tea brother Jaanus Leplaan from Global Tea Hut to Hong Kong! Here we explore tea as a meditation and a daily practice. We will share bowls in silence and you will be able to experience the meditative space that arises through ceremony. Each bowl filled with quietude and gentle presence as we connect to nature through the Leaf and gently awaken into the day together. There will be a few moments at the end for reflections or questions. This offering has limited spaces. Sliding Scale $100-150HKD - All proceeds go directly to support the offering. No prior meditation experience is required. 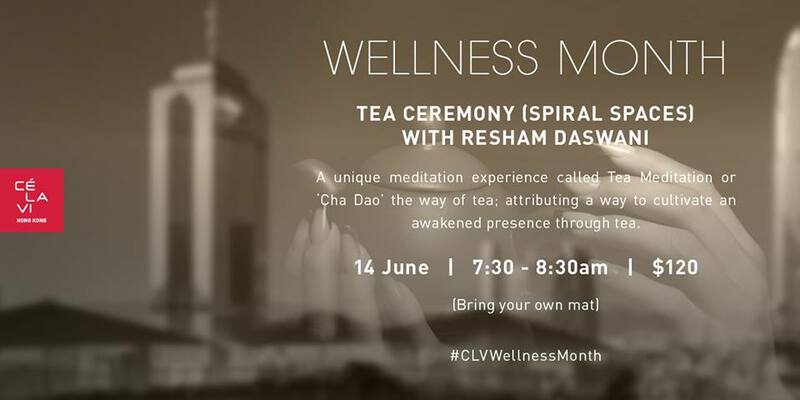 CE LA VIE Hong Kong is hosting Spiral Spaces for #CLVWellnessMonth this June! I am very excited to be at part of Wellness Month at CÉ LA VI Hong Kong! One of my most heart-driven intentions is to bridge the gap between the 'stress' of corporate Hong Kong towards more mindful ways of living and being in our city. Tea will be shared in silence as we gently wake up together. You will be able to experience the meditative space that arises through the ceremony of this morning practise. Discover each bowl filled with clarity and quietude as we connect to the energy of nature through the Leaf. The Global Tea Hut Community in Hong Kong will be sharing an outdoor Community Tea Sit in honour of Buddha's Birthday. Join us for a silent morning meditation as we share bowls of Tea, connect to nature through the Leaf and gently awaken into the day together. There will be a few moments at the end for reflections or questions. This gathering is open to all, and will be followed by a pot-luck style brunch at a nearby beach. Please bring a vegetarian meal to share after the ceremony. This is an offering from the heart. If you feel called to support, a donation of any amount is welcome towards logistics, and additional funds will be directed towards the building of our future Tea & Zen Center, 'Light Meets Life' in Taiwan. The brand new Tea Space at Fivelements, Sai Kung is now ready! I am honoured to be hosted to share tea at this beautiful space on Saturday 12th May, 2018. Join us as we explore Tea as the path to the meditative mind. Tea is a plant teacher, which connects us to the energy of nature through the Leaf. As we drink, we are guided and healed from our mind, body and spirit and rejuvenated with clarity and peace. Limited Spaces. Booking is Required. Please contact: wellnesshk@fivelements.org or 3959 0000. In the morning, join us for a Tea Meditation (Cha Dao) Ceremony. Tea is a plant teacher, a spirit of Nature, manifested through the leaf and awakened by hot water. The beauty of 'Cha Dao' is its way to cultivate inner harmony and an awakened presence. 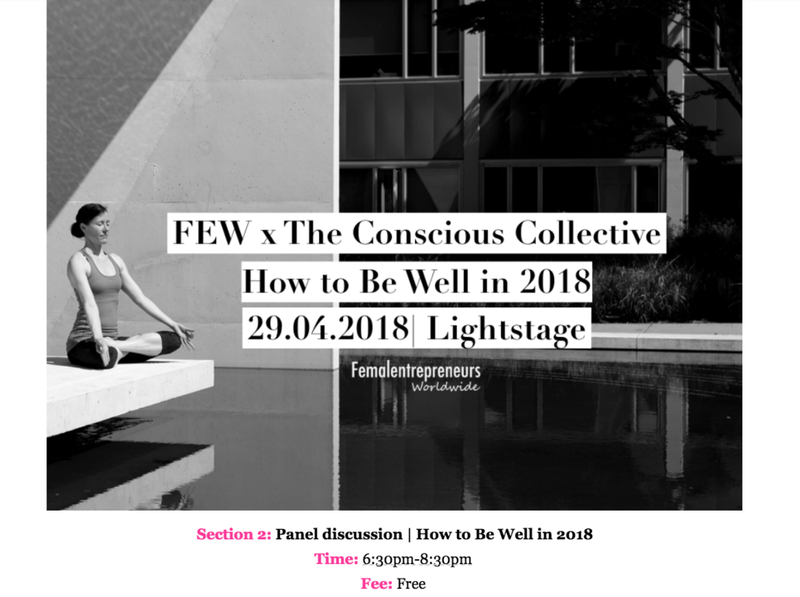 In the evening, we will host a Panel Discussion | How To Be Well in 2018 with Resham Daswani of Spiral Spaces and Sonia Samtani from All About You Wellness, moderated by Coco Marrett from Hong Kong Tatler. These are few women who are leading the wellness revolution to share with us their tips on maintaining physical and mental health. Join us on April 29 to discover the new ways of living well! Don’t fall into the burnout trap! A Tea Ceremony is for all ages and does not require any previous meditation experience. All Tea which is used is “Living” Organic. This is a co-ed offering. Limited 10 Spaces. We are honoured to welcome Global Tea Hut sister Baelyn Elspeth (Tian Wu) to Hong Kong for the first time for a series of community offerings. Baelyn resides in Venice, CA and devotes her time to sharing and facilitating sacred spaces for communities all around the world, bringing the medicine of Tea and Song wherever she goes. Cha Dao or “The Way of Tea”, is an ancient Chinese practice discovered by Daoists - which uses tea as a form of medicine to cultivate presence and inner harmony. Baelyn Elsepth will have one offering at The Four Seasons Hotel, HK on the 12th April, 2018. In this ceremony we explore tea as a meditation and a daily practice. We will share bowls in silence as a way to cultivate more quiet and presence in our moment to moment lives. A way to build a deeper connection to nature, ourselves, and each other. A way to clear our minds, open our hearts and awaken our spirits. Cost: $650HK + 10% per person, including a 90-minute tea ceremony and light snacks. This offering is open to both men and women. To reserve a spot please please email the Spa at spa.hkg@fourseasons.com or call 3196 8900. Please reserve your seat by making your donation online. Please honour your seat or inform us 24 hours in advance of any changes. All proceeds go to support the service of Baelyn's exchange. Horizen - Journey Inward is a time and space to turn to your inner world and find harmony between your emotions, your mind and your body. The day features an international group of healers and health facilitators from near and far and will be filled with unique and soulful experiences. You will reconnect with the fun and joy of childhood in the Playground of Possibilities and Lift Your Spirit Acroyoga. 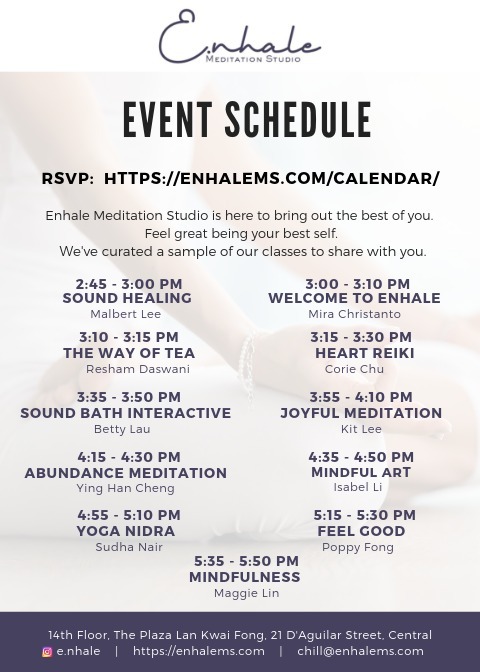 Sessions like Hypno Meditation, Unlocking the Future Within, and a Closing Tea Ceremony will help you discover the many ways we can meditate and connect to our environment, higher self, and purpose. I am honoured to be taking part and serving the Closing Tea Ceremony in this inspiring event. Horizen - Journey Inward is extended to you from Hong Kong's holistic health clinic, Balance Health, and K-Town Community, a collective dedicated to entrepreneurship and community-building in Hong Kong. "Just as the horizon connects earth and sky, so too will you deepen your connection between body and soul. We hope you will embark on this special journey inward with us." We welcome Global Tea Hut brothers Connor and Jaanus to Hong Kong! Connor and Jaanus are currently dedicated to serving full-time at the Tea Sage Hut / Global Tea Hut in Taiwan. During their visit we will offer some community Tea events to the city. This event intends to introduce those new and old to the Way of Tea (Cha Dao). We will share bowls in silence and you will be able to experience the meditative space that arises through ceremony. Each bowl filled with quietude and gentle presence as we connect to nature through the leaf. We will gently awaken into the day together, with each bowl of tea resting within your heart. There will be a space for reflections and questions at the end. You may make you donation online or on the day of the event. This event has limited spaces and reservation is necessary. Amazing Grace is a women’s wellness retreat inspired by a vision to create a new space for women living in urban centres to convene over a long weekend, share inspiration and celebrate life, love and the extraordinary creative energy that enlivens and unifies us as One. The four-day programme, available in its entirety or by full or half-day formats and in residential and non-residential options, has been carefully curated as a holistic integrative wellness programme. Illuminating dialogues and dynamic Sacred Arts sessions are guided by specialists in Women’s Health, Nutrition and Wellbeing, Yoga, Meditation, Somatic Awareness, Vibrational Healing and Dynamic Movement. The retreat will kick off on International Women’s Day, March 8th, with an exclusive photographic debut of Women in Bali by Bruna Rotunno, a collection of images reflecting the flow of the feminine side of the island and a harmony that is continually reinvented through a discovery experienced solely by the beholder. In the artist’s shots, women move with grace and strength: they dance, work, live and smile between rocky appearances and landscapes in motion, in the expanded dimensions of spirituality. I am honoured to be taking part in this beautiful event. Please join me for a Mindful Tea Ceremony on Saturday 10th March. Honoured to be taking part once again in this beautiful community gathering event. Please join me for a Tea Meditation Ceremony on Saturday 3rd March at 4:00 pm - 5:00pm in the Zen Garden. We will commune mindfully with the leaf in the practise of Bowl Tea. There will be limited spaces and sign-up will open at 3:00 pm. Bring a mat, a friend and a smile! Honoured to be hosted at Phuket Cleanse to share Tea from the 6th-8th February 2018. Join Resham Daswani for a traditional Tea Ceremony as we explore Tea as the path to the meditative mind. Tea is a plant teacher, which connects us to the energy of nature through the Leaf. As we drink, we are guided and healed from our mind, body and spirit and rejuvenated with clarity and peace. This is a co-ed offering. Limited 10 Spaces. Wu De, the founder of Global Tea Hut will be visiting Hong Kong for a series of events and workshops. I am honoured and grateful to announce that my teacher Wu De, who is the founder of Global Tea Hut and a practitioner of Cha Dao (The Way of Tea) for over 20 years, will be making his first trip to Hong Kong to facilitate offerings for the community. This is a rare and bountiful opportunity to receive in-depth teachings in person. The workshops have limited capacities and you may reserve you place via the booking links below. If you would like to explore deeper and cultivate a practise of Cha Dao, please join us! We will also have a limited amount of 'Living Tea' available for purchase during the events. All donations from these events and workshops are non-profit. They go toward facilitating Wu De's travels / rental logistics and to support the building of 'Light Meets Life' a Zen & Tea center in Taiwan. Global Tea Hut to learn more about our community. Tea Sage Hut if you are interested in attending a 10 day course in Taiwan. This is a co-ed offering. Limited Spaces. You will receive a confirmation email with details to how to secure your place with your donation (Suggested Minimum HKD$100). *All proceeds will go towards purchasing blankets for the Hong Kong Street Sleepers in the Western District Area.